I have been an ATM since 1992 and would like to share you some videos and pics in order to pay tribute to all ATM colleagues who have been sharing their knowledge publicly for common benefit. I try to get this mirror ready before the next summer. Let's see if possible for me. My scope is an Obsession 25" now with a mirror 19,3" f6,5 made by me and this next step will be 23,5" f5,5. It took several years to finish this machine. Some details need fixing still. Three 1,5kW motors with individuel frequency controller. The turn table (steel 1040x40mm, bearings 4x d=180mm) rotates from 1 round/30min to 10rpm. 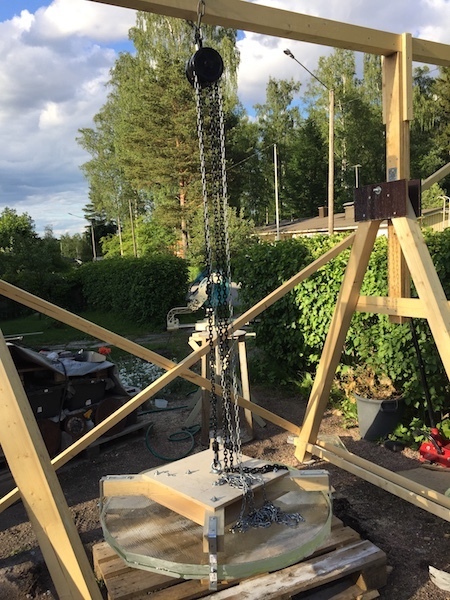 Total weight of the machine about 1000kg. I chosed this traditional Zeiss configuration because of my LOH machine that i have used to use during last years. A huge thank goes to my friends Harri and Tomi, Jorma "the HST", Vehka, Mara and Hannu, and some other. Nice machine...however in the second video it would appear that the tool is not centered and is moving off the close edge much further than the back edge...ie the overlap is not centered. Yes, the tool is off centered as usually by me, it can be centered precisely and off centered on the opposite direction. The functions of both arms are interchangeable. Last may i got this standard sheet of Schott Supremax33. It is the beginning of my new project, 105cm(41,5") newton. I would like to share some pics for my friends and anybody interested. Edited by MakeTT, 21 January 2017 - 10:46 AM. Loc: Big Island, Hawaii and Owens Valley, CA. If you will use just one sheet, this mirror will be extremely thin? 57mm sheet is the thickest they produce nowadays. I wish the previous 62mm version would be still available. The thickness ratio will be about 1/20. I started to saw one side into the depth of 1/2" and turned the sheet upside down. Then I sawed again but not totally through the glass. There can be seen the middle section of untouched glass 360 decree around of the blank. 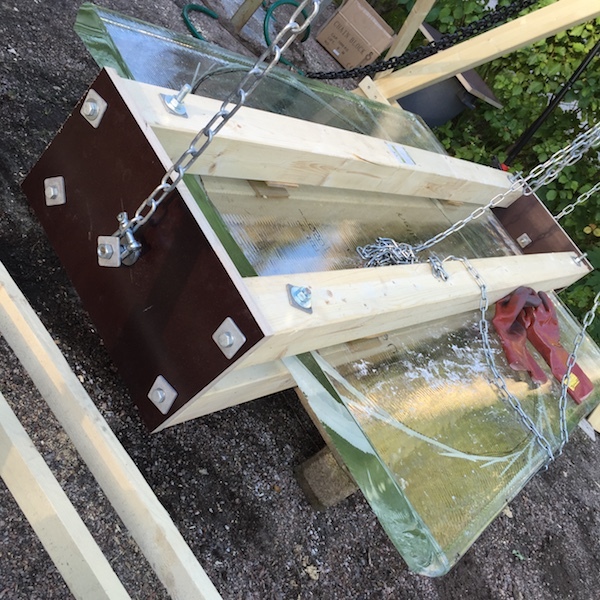 It needed just a gentle tap to remove the excess of the glass after both sides sawed. Edited by MakeTT, 21 January 2017 - 03:34 AM. Wow! You're living my dream! Double wow! That's big! You don't see that every day. What did you saw it with? 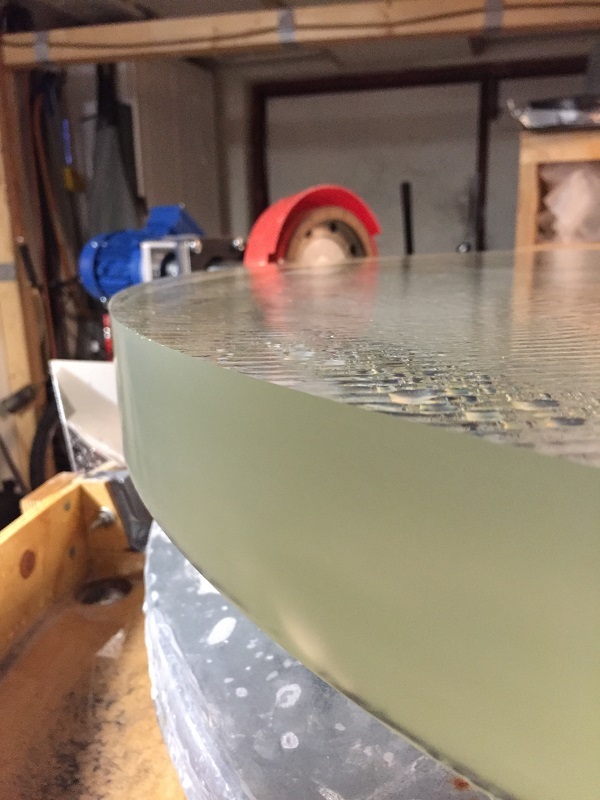 7" diameter diamond wheel makes nice edge surface at 3000rpm. I rough sawed the blank out of the rectangular sheet with hand held Bosch diamond saw. Edited by MakeTT, 21 January 2017 - 09:07 AM. and the finished dry edge before making bevels. This is the situation today. 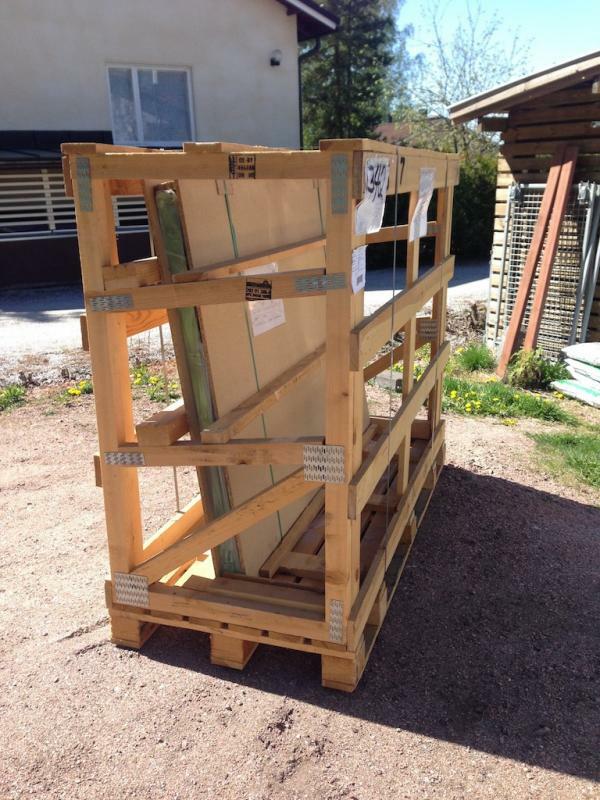 Really nice job preparing the glass, but I am afraid you will have real problems making it free of astigmatism! It would need to be ~80mm thick to be reasonably workable. Also, I would recommend little or no bevel until you finish figuring, because its likely you will have a turned edge with the very small laps you will need to use. Do you think a thicker blank would really be easier to work with here? 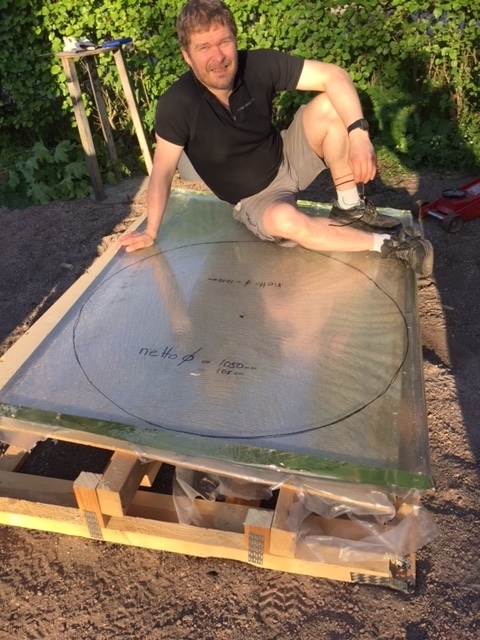 It goes without saying that it would be easier to figure, but an 80mm thick, 105cm wide mirror would weigh ~200kg!! Ambitious project. I will be following this with great interest. Don't worry about that at all. What you have will work very well if you use sensible techniques. Well, your really stuck between a rock and hard place with these huge mirrors. Thin is easier to handle, but likely to come out astigmatic, zoney, edge problems. Thick like you say, will be monstrously heavy and a beast of a telescope! But the thin is maybe the more serious problem, most large scopes I have looked thru at star parties have unacceptable performance, except at extremely low powers. An excellent 20" will give much nicer detailed, contrasty views than a poor 1 meter! Definitely doable. You got a good result with your 23.5"er. Scale of difficulty with this one will go up by a magnitude, but I'm confident you will get there. Thin, is not impossible, just challenging, and at the end, 'victory is sweet'. Will be watching with "riveted interest", (as a thin mirror worker myself). PPO, I just don't understand what you are doing. You are trying to discourage an ATM from taking on a project that he has already started, seemingly because you yourself think it is not possible or worth doing. I am not sure if that is against the terms of service, but it is definitely negative. It's his thread, after all. I disagree with your statements above, and believe them to be incorrect based on my experience. I have worked on multiple projects that are quite similar to the OP's size and thickness, so I know his project is quite possible. I had no problems with astigmatism, zones, or the edge, so what he is doing is possible, though it is definitely not easy. I had an interferometer to help guide me through these projects, though, and found it vital to success. 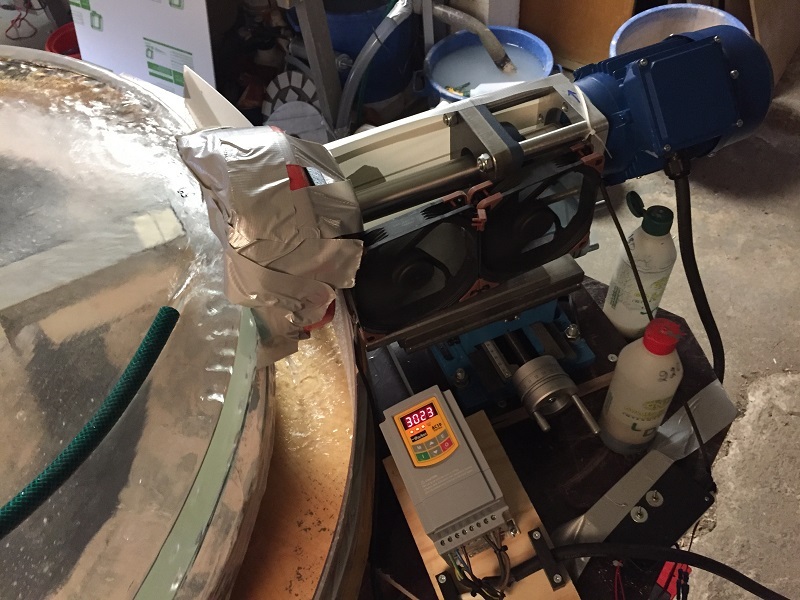 So, I think that the OP should proceed, though I will mention something that no one else has yet - I caution him to make sure that the glass has proper anneal before he begins grinding. There have been several examples of meter size instruments successfully made with mirrors as thin, and even thinner than the OP's instrument. One of the most recent, made from a 24mm thick x one meter mirror is described here. Other examples include two, one meter telescopes mirrors made by Frederick Gia in France that are also about 25mm thick. I know someone who observes regularly in one of them and the quality of the images are exquisite. So to the OP: ignore the naysayers and please continue on the path you have chosen. You are doing very well and obviously have the experience to carry this through successfully. 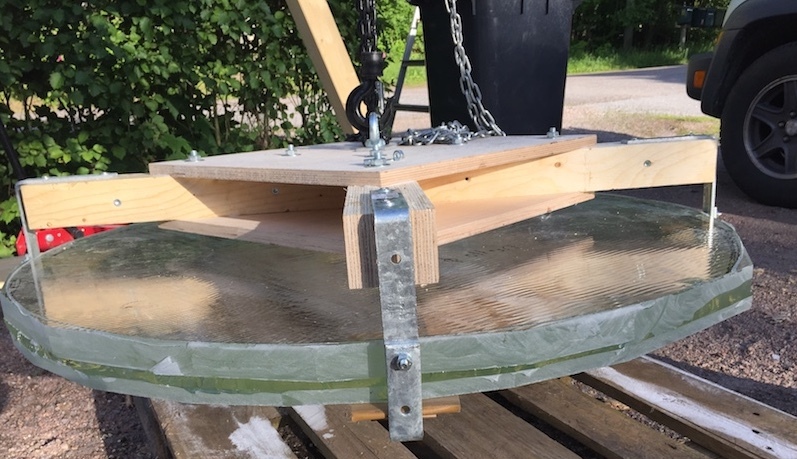 I hope the OP can give us some input on how he will make the mirror without astigmatism? A good mirror should be able to go up to 50x/inch = 2000x, yet in the article I see the Italian maker using it at 140x and 320x. I am only relating my experience with these large, thin mirrors, they do not pass the star test at all. If the owner is satisfied with this, that's what matters! My hat's off to you sir! Very Impressive, looking forward to more updates! I was told that Schott doesn't provide any more special annealing at this size. So I had to take the sheet as it is. I have that notion, that certain amount of residual strain in the glass doesn't cause problems. So I do hope that this would be the case of my blank. If anybody has evaluated those 'standard sheets' (as they call them) of Schott I would be very interested to see pics or facts about the strain level. My strategy concerning strain is to grind and polish and see if the mirror is to be figured as a decent sphere:) The starting point to avoid astigmatism in my system is a high level plane rotating table and back of the mirror including right type of carpet under the blank plus precise edge thickness of glass. Good additional advises are appreciated,too! It doesn't make much joy to have a big mirror of poor quality. I admit that the real challenge for me would be to get both the quality and the size together. As ATM we have plenty of time and always a possibility to try again! 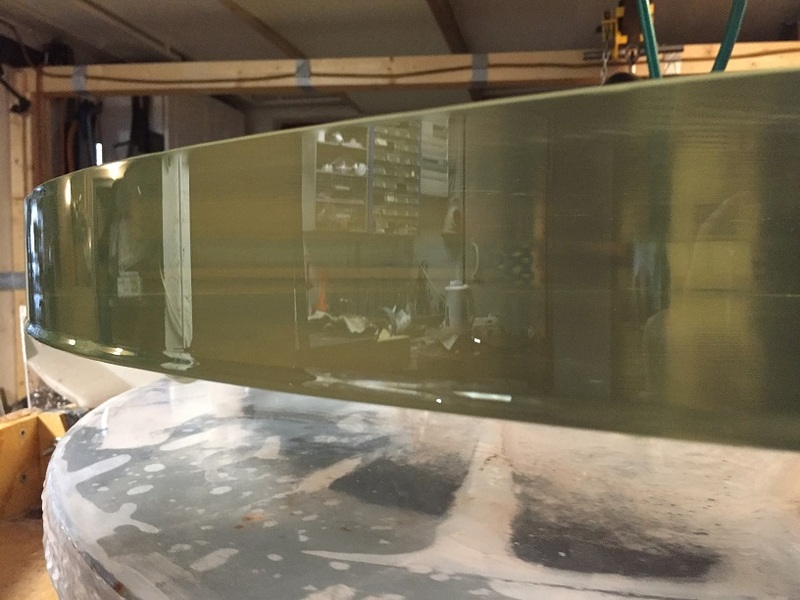 These sheets are not well annealed on their own - glass companies usually anneal the disks after they have been cut out. You need to check for strain as soon as possible. A large LED TV displaying a white image can serve as a source for polarized light, and you need a small piece of linear polarizing material to rotate in front of a camera or your eye in order to observe the strain pattern in the glass. 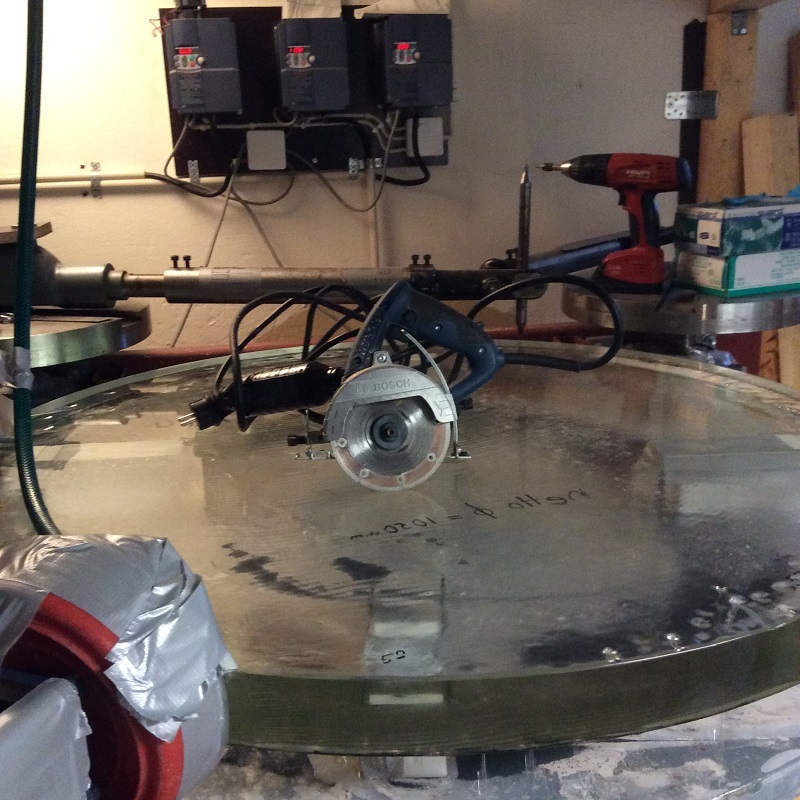 If there is a lot of strain in the glass, you should do annealing before you start grinding. Otherwise you will lose your work because the glass will change shape as it is annealed and the strain is released.